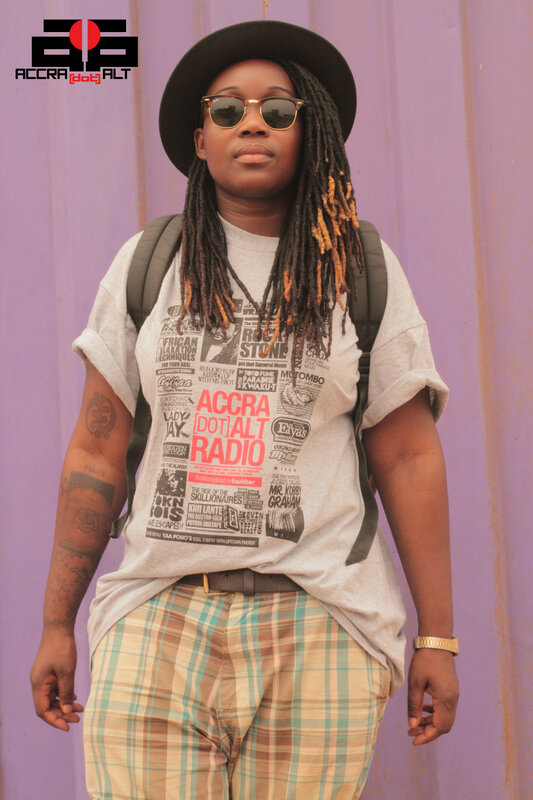 Sena Dagadu packs a punch in her newest video with M3NSA [one half of FOKN BOIS]. “Extra Large” is simply a family affair – directed by Wanlov the Kubolor [the other half of FOKN BOIS] and King Luu [co-director of FOKN BOIS’ 2010 all-pidgin musical Cos ov Moni]. 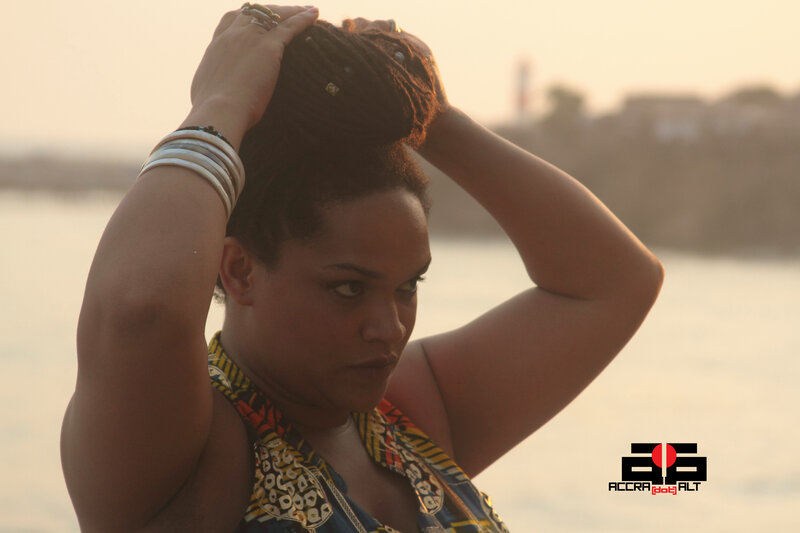 From her gargantuan throne, Sena relays her life philosophy with a playful smirk: “Cause if I’m gonna hit it, I might as well hit it hard.” Her distinct sound is the result of dual roots in Ghana and Hungary. In fact, Sena’s logged her 10,000 hours as a member of the insanely popular Hungarian band, Irie Maffia. The colorful antics in “Extra Large” match Sena’s mischievous confidence and bold persona with infectious beats [by Élő of Irie Maffia] that smack you between the eyes. 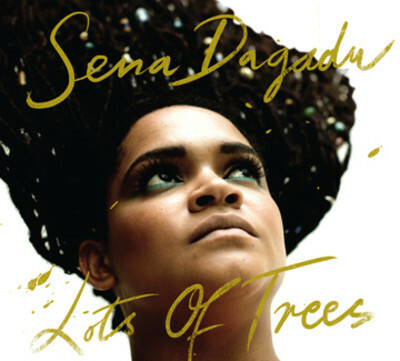 Sena has hit fans hard with a brand new bag of magic – gather it all up in Lots of Trees – her latest album released just last Friday. 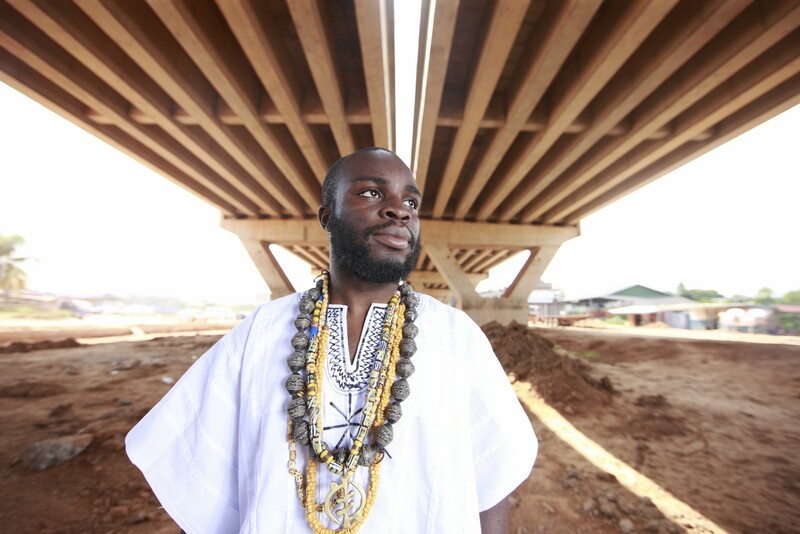 M.anifest has been steadily making major waves in the international music scene, including being named by BBC’s The Strand as one of 4 acts to look out for. “Blue” resonates with love and longing as M.anifest shares his nostalgic utopia of Ghana. The musician muses on eating delicious kelewele, the rhythmic beat of pounding fufu and the chaotic noises of Accra traffic. “Blue” is a call and response, a colorful landscape of everyday life, an ode to the vibrancy of Ghanaian life. Stay tuned at the end of the video as M.anifest pays tribute to his musical roots by providing a brief audiovisual history of Ghanaian hip life music, shouting out Reggie Rockstone, Ms. Naa, Blitz the Ambassador, and Kwaku-T, among many others. Catch “Blue” on M.anifest’s latest album, Immigrant Chronicles: Coming to America. London-based singer Tawiah once again brings down the house with poignant lyrics and spine-tingling vocals. In “TEARdrop”, she bears her soul in a cab confessional wandering and wondering about what happens when it all comes pouring down. Finding dark liquid meaning in the complexities of identity, Tawiah tells her story and how she came to be. Floating in an ocean of hypnotic chants and chimes, Tawiah surrenders her vulnerability to the ebbs and flows of life. Begging for more? Download “TEARdrop” here and look for the mixtape album, “FREEdom Drop,” available this Spring. 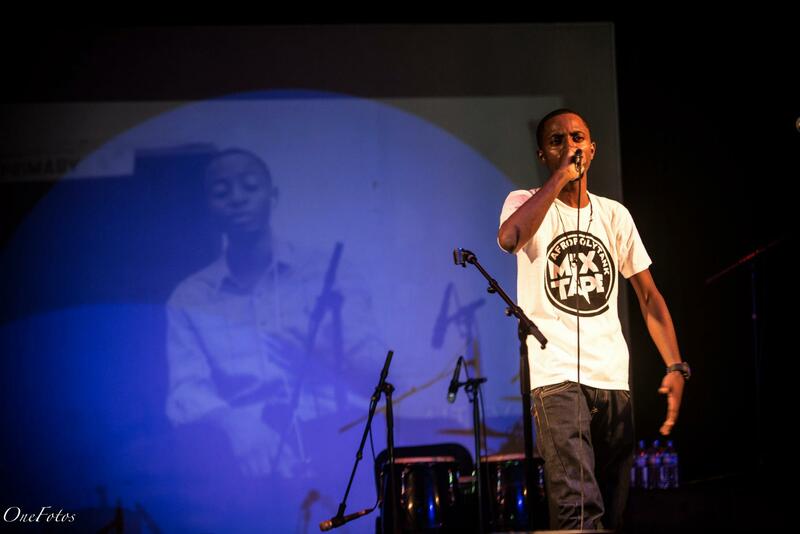 This boisterous, bump your bortoss track comes just after Lyrical Wanzam’s debut solo album, The Afropolitank Mixtape, blew listeners away. In “Sheygey Reasons,” Lyrical Wanzam and M.anifest lay down hometown raps over a ridiculously catchy beat. 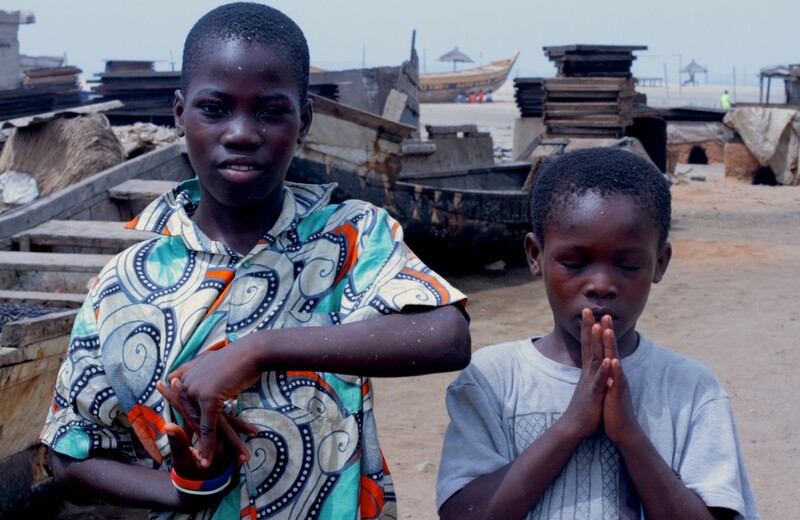 The video is set in the Accra suburb of Madina – where Wanzam and M.anifest call home – using the style of old black-and-white films and “the duel” as inspiration. The attitude of the video is hilarious and carefree [after all, for sheygey reasons means doing something just for the sake of it] but the talent behind the MCs’ tight rhymes demands all seriousness. For sheygey reasons. Paapa really turned it out on this one. “Write for Me” is the first music video release from his latest album, Songs for Kukua [released March 6th, Ghana’s Independence Day]. 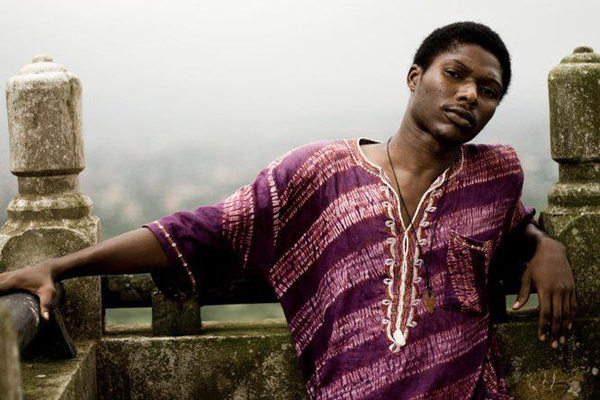 The video is a time traveler’s technicolor dream where a future Paapa reminds his present self about destiny and fate through a series of persistent letters. “Write for Me” is a compelling narrative about migration, memory, attachment and promise. 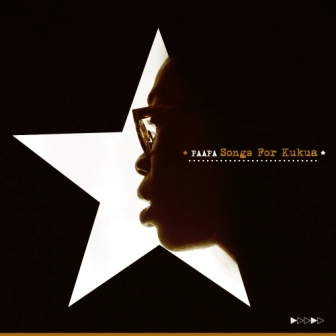 Punctuated by bittersweet guitar turns, Paapa’s love letter to Ghana shows the evolving relationship between human, hope and home. Download the track for free here. Delasi puts it all on the line with “Where Do We Go?” – a forceful first single that makes a reflective and political statement about life and war. It’s clear that Delasi’s sound is meant to inform and challenge rather than simply entertain. The video juxtaposes a rapid fire of edgy lyrics with the protagonist’s struggle to subvert madness and mayhem. It’s just another typical day in Accra. The street philosopher points out police corruption, unlivable wages and insincere leadership as indication that listeners better soon wake up and start paying attention. Delasi makes an addictive chorus out of the simple question: “Where do we go from here?” It’s a stunning query framed by cool, shadowy beats that stay ringing in your ears. 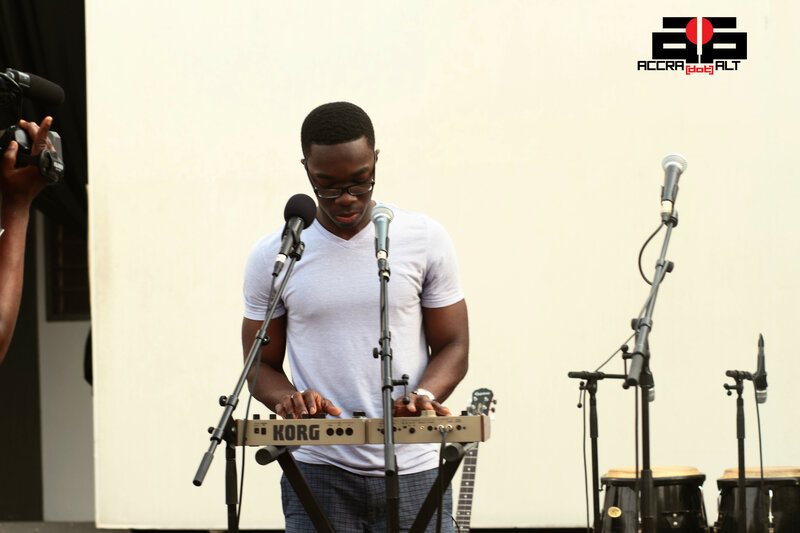 Performance artists Kwabena Danso, Yibor Kojo Yibor and Crystal Tettey make awesome appearances in the video. For more Delasi, look out for the upcoming album, Thought Journey. This entry was posted in Ghana, New Music and tagged Afropolytank Mixtape, BBC, Blitz the Ambassador, Blue, Clockwork Media, cos ov moni, Cryme Records, Crystal Tettey, Delasi, Extra Large, FifGen Films, Freedom Drop, Fullish Art, Georgi Banks-Davies, Immigrant Chronicles, Irie Maffia, King Luu, Kwabena Danso, Kwaku-T, Lots of Trees, Lyrical Wanzam, M.anifest, M3NSA, Madina, Miss Naa, Nana G Asante, Paapa, Reggie Rockstone, Sena Dagadu, Sheygey Reasons, Songs for Kukua, Tawiah, Teardrop, The Strand, Thought Journey, Wanlov the Kubolor, Where Do We Go, Write for Me, Yibor Kojo Yibor by Accradotalt. Bookmark the permalink.